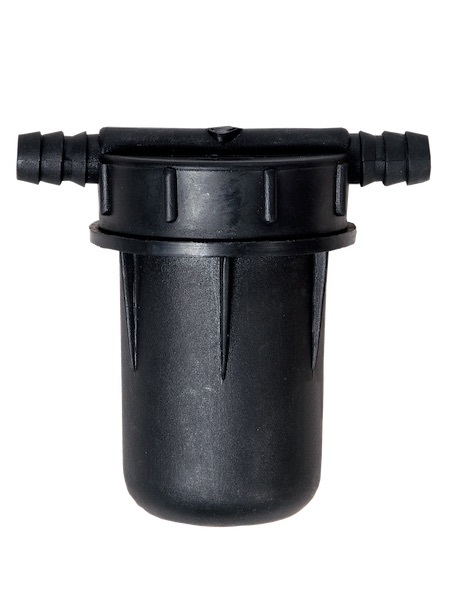 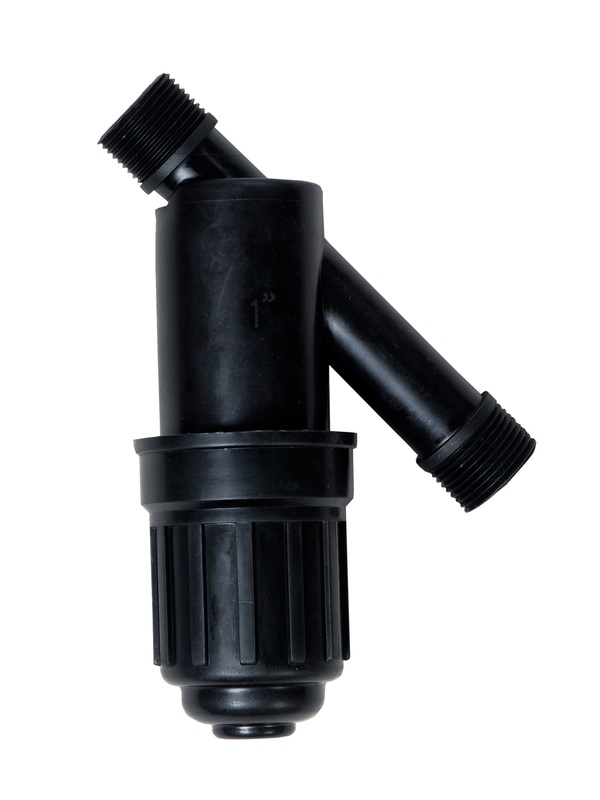 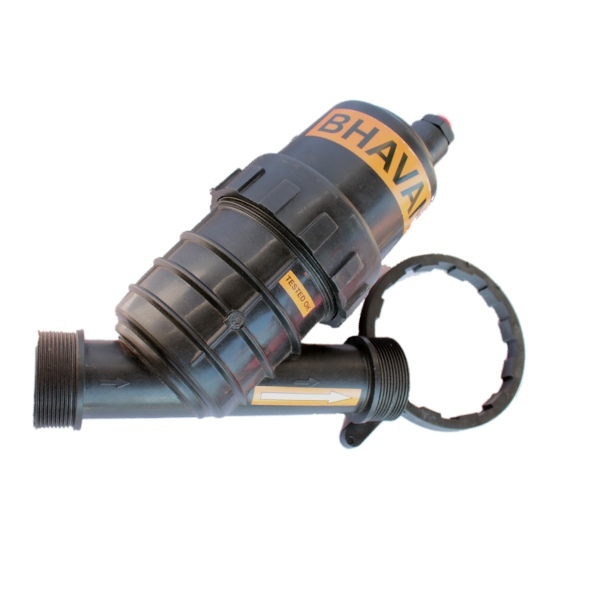 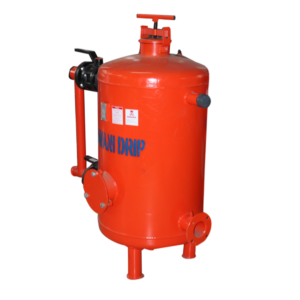 Comes with an inbuilt air release valve on the top that also works as a flush valve. 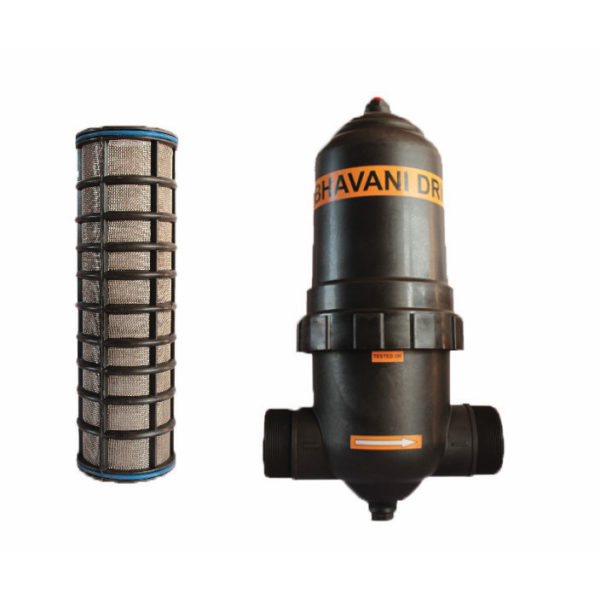 Easy cleaning of the stainless steel mesh filter element as water goes from inside to outside and the suspended matter can be easily unclogged by a water jet on the outer side. 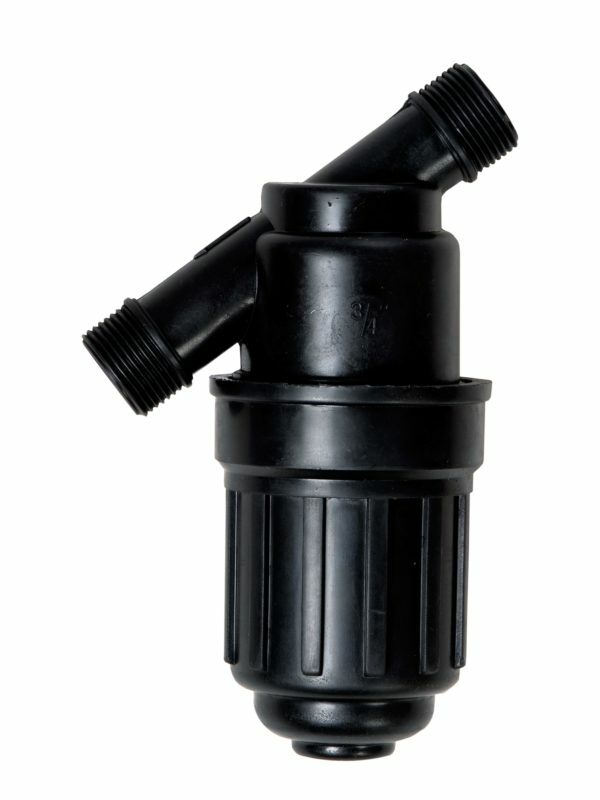 Easy flushing with the help of flushing valve. 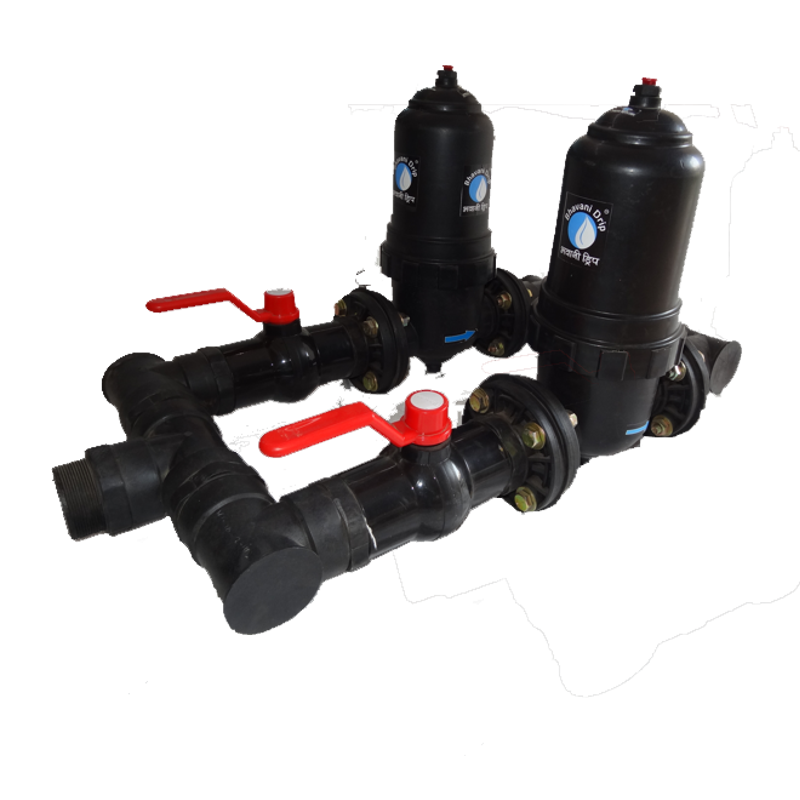 2 filters attached in parallel are available. 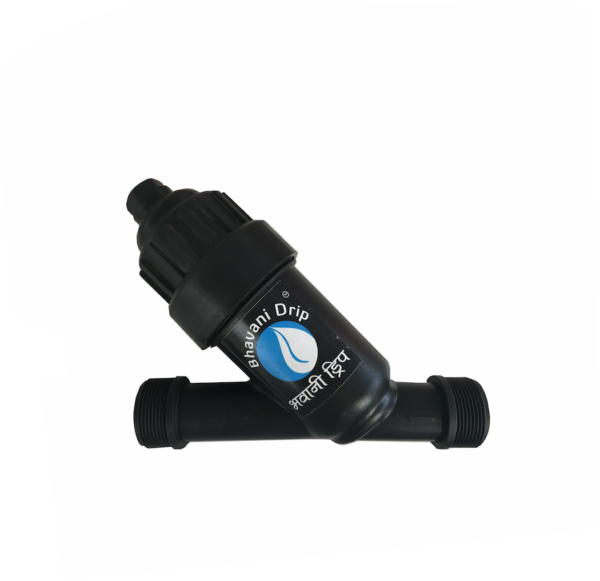 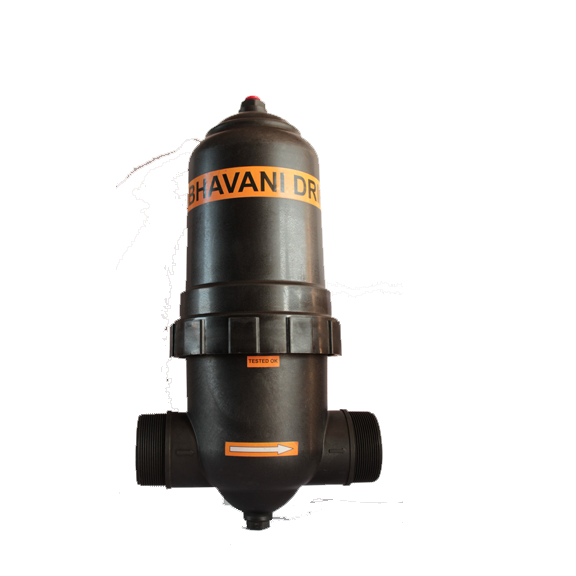 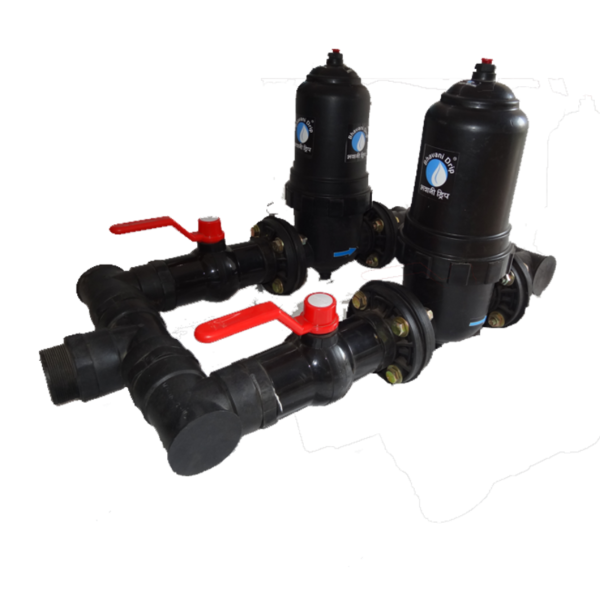 This double filter arrangement helps in pressurized flushing of the filters by just operating the inlet valves. 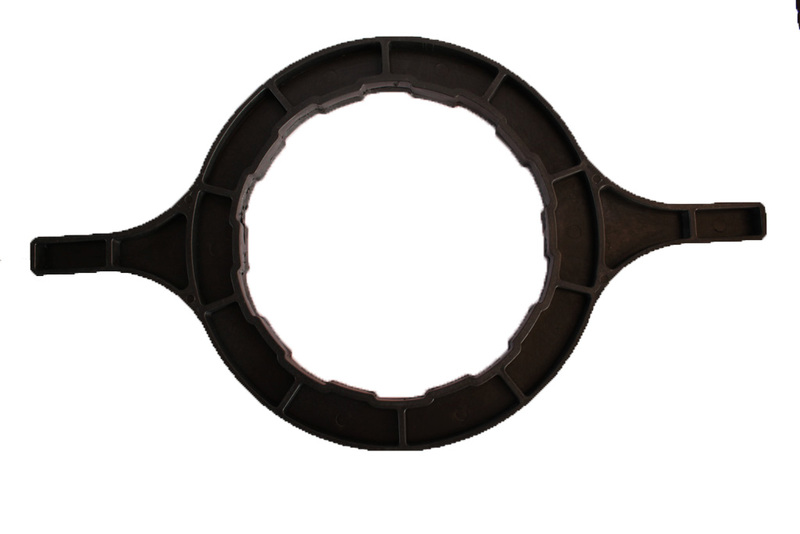 Spares and replacable parts available at reasonable prices. 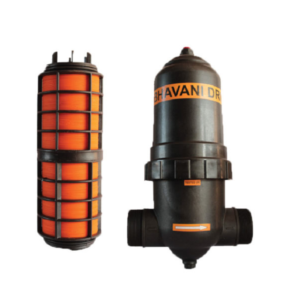 We provide a variety of filters with different discharges, capacities and inlet outlet diameters depending on the application.